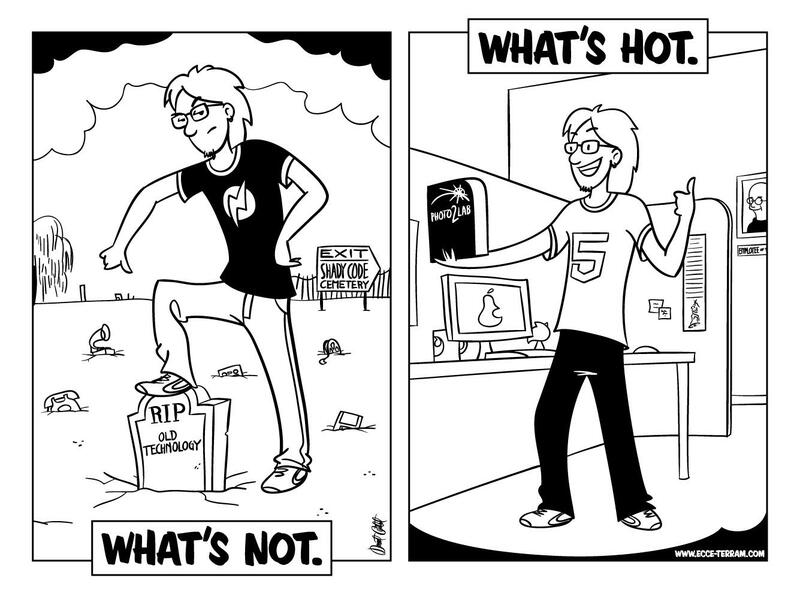 HTML5-based solutions promise: less risk, more profits for retail chains, photo services. London; Atlanta, GA; Oldenburg, Germany - 29/11/2011. Ecce Terram, a global digital imaging solutions company with headquarters in Atlanta, GA and Oldenburg, Germany, has introduced version 2 of its Photo2lab Online Client. The new software for online photo processing and ordering provides seamless social media integration and fully supports open standards like HTML5 - unique in a market where most industry-strength solutions are still based on Adobe's Flash™ technology. Ecce Terram launches its new software in the wake of Adobe's recent announcement to abandon its Flash™ player for mobile platforms. Version 2 of the Photo2Lab Client covers the complete range of photo products - from prints, posters, and canvas to photo gifts, personal to print products such as photo books, postcards, and photo calendars. 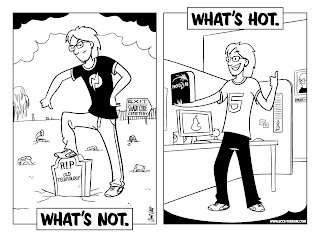 It is based on a critically acclaimed software architecture ("PMA Retailer Hot Pick 2010"), and optimized to support HTML5, the next-generation open web standard that is currently rapidly reshaping the way content and services are presented online. Will solutions that support HTML5 present a future-safe alternative for large retailers and photo service providers, who are looking for a way out of a dead-end technology? Ecce Terram's new online client, for example, is already backed by the company's long-time experience with large-scale deployments for customers like a famously cost-conscious large European retailer. "For large retail chains and photo service providers, the launch of our new Photo2Lab Online Client sends a clear message," says Frank Simon, president and CEO of Ecce Terram USA: "They will be able to offer the full range of modern photo products and mobile ease-of-use that today’s customers demand." Simon: "Due to Ecce Terram's strong commitment to HTML5, they will also be able to avoid the costly burden that comes with having to develop for outdated or highly proprietary mobile technology platforms." By 2013, the customer base for photo services and products will have gone mobile, predicts Simon, pointing to recent industry surveys. With the launch of the new Photo2Lab Online Client, his company joins the ranks of companies - the largest ones are Apple, Google and Facebook - who in the past weeks have made clear that they see HTML5 as a technology platform that will dominate the way online media are used and interacted with, for years to come. According to Ecce Terram, recent surveys indicate - and most industry analysts agree - that 2012 will be year where worldwide sales of smart phones and tablet computers will surpass those of desktop and notebook computers. "You don't want to bet your company's photo business on developer solutions that support outdated, or esoteric proprietary platforms," says Mr. Simon. "If you do that - within 18 months, you are likely to reach less than 50 percent of the online users your company should reach." The rapid recent shift in the online and mobile technology field has many large providers of photo processing and product services, like pharmacy chains and large electronic retailers, worried about how to protect their existing investments, while being able to develop new product lines. Industry analysts familiar with the photo services market like Frank Baillargeon, founder and president of f/22 Consulting, agree with Ecce Terram's assessment: that the safest and most cost-efficient solutions will have to include full support for the HTML5 standard. "HTML5 will make it far easier for photo retailers and their service providers to develop and deploy critical cross-platform mobile applications," says Baillargeon, whose Eagle, Idaho-based firm provides market research and consulting services to the photographic industry. According to Baillargeon, the combination of quality image capture and immediate access to satisfying photo product shopping experiences on mobile devices "can and should represent massive revenue growth opportunities for retailers." Print and online use, including on blogs, encouraged with coverage pertaining to this news release and the topic covered therein. All others: source credit required: "Source: © http://www.Ecce-Terram.com . All rights reserved." The Photo2Lab Software Suite offers a complete solution from photo ordering to processing in commercial labs. It includes software applications for Windows, Mac, and Linux, web components, and modules for CD processing or mobile platforms, like iOS and Android devices. The modern connection protocol TRON is freely available and is supported by a variety of third parties. These provide solutions for, among other things, set-top boxes or kiosk terminals. Along with order processing, aspects such as payment, promotion, and adaptation options for affiliates and partners are taken into consideration as part of a white brand solution. The products can be used to handle anything from photo prints to hardcover photo albums, thus offering unique flexibility and openness with the goal of enabling solution customers to reduce costs and reach new target audiences. ECCE TERRAM will present Version 2 of its Photo2Lab Online Client in Las Vegas from January 8 - 12, 2012. To schedule an appointment, please contact us by email at pma2012@ecce-terram.com or call us on +1 678 244 1521 (EST) within the United States/Canada, +64 9 304 0709 within New Zealand/Australia, and +49 441 500 120 within Europe. Cambridge. 8 Nov. 2011. - The advantages of true photographic paper are evident at first glance: bright colours and very high detail reproduced on considerably stronger paper. As lab processed photographic paper is exposed without printing grids, printing dots will not be found, not even with a magnifying glass. This leads to a more balanced colour reproduction and sharper detail. That way, anyone can create their own photographic calendars in professional print quality with bright colours, even as a one off print. FotoInsight’s Managing Director Klaas Brumann says about the use of silk matt photographic paper in photo albums and personalised calendars: "If high quality prints are required, you can only achieve a corresponding print through the exposure on real photographic paper. FotoInsight is a quality printer and raises the bar every year." The online photo service FotoInsight has been offering one of the widest ranges of photo calendars for many years, now FotoInsight increases the range with six new calendars on photographic paper. 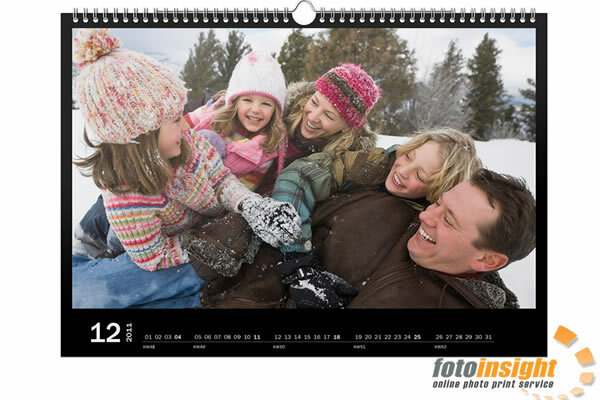 How to design a photo calendar on photographic paper? Choose the calendar page and layout, add images and change backgrounds as preferred. There is no limit to the number of pictures per page and it even allows to create picture collage on calendar pages. A nice personal touch is created by adding additional passport size photos at birthdays and wedding anniversaries. 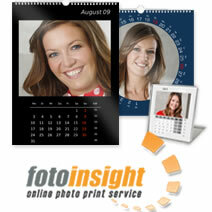 Upload own photo calendar design. After logging in choose the payment form and order a calendar print with the option to have it shipped to a separate delivery address, for example as a gift. The software can be used offline and an Internet connection is not required during the design process. The calendar print file will be compressed to the optimum size before transmission to the print server without sacrificing quality.